I wanted to share a small but useful hack with your readers. I use a common garden variety smartphone “Powerbank” 10,000 mAH Li Ion pack to power my Sony 7600GR which is perfectly happy with the 5V which the pack supplies. [See photo above.] I see no reason why this won’t work with other radios which require a 6V supply. Thank you, Anil! What a simple but useful hack. The best part is, battery packs/banks are very inexpensive these days and, I for one, have a number of USB cables I could sacrifice for the job! This entry was posted in Accessories, How To, News, Shortwave Radio and tagged Anil Raj, Batteries, Lithium Ion Batteries, Rechargeable Batteries, Sony ICF-SW7600GR on January 25, 2018 by Thomas. This article originally appeared in the April 2014 issue of The Spectrum Monitor Magazine. Let’s face it: SWLers and amateur radio operators are some of the most frugal hobbyists out there. But the good news is that radio is a hobby that favors the frugal. There are many practical and time-tested ways to make radio listening fun and effective–such as improving your shortwave radio reception–that are absolutely free, or that cost very little. And how do I know this? Among the frugal, I’m the most frugal SWLer I know! Yet there’s a method to my frugal madness: because I simply can’t afford to waste hard-earned radio money on gadgets and accessories that are ineffective, I count my pennies in order to make quality purchases with longevity in mind. Meanwhile, I track down ways to keep my hobby cost-effective. I’ve gathered here some of my favorite frugal tips and quality purchase suggestions here. So, without further delay, let’s start SWLing–and saving money. Checking your shack for RFI is vitally important, a procedure every radio listener or operator should undertake. 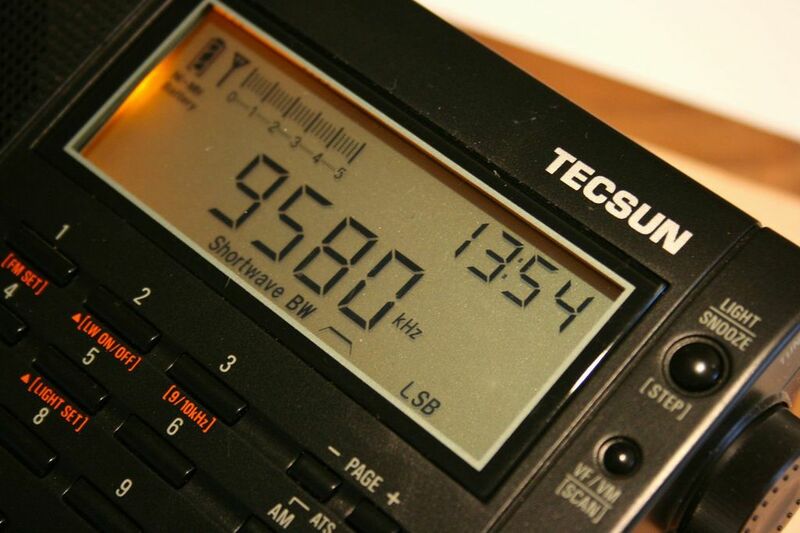 The truth is, very few of us regularly experience ideal conditions for HF or AM radio listening. Devices like plasma TVs, laptop power supplies, and the ubiquitous AC adapter inject distracting noise into our otherwise peaceful environs, disrupting our hobby. This noise is known as RFI (Radio Frequency Interference). 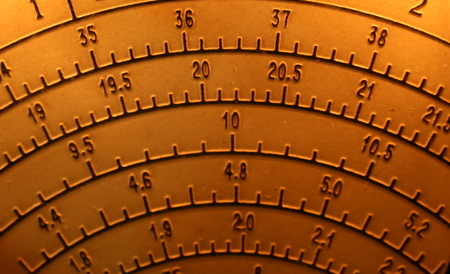 Did the noise level on your radio decrease? If the decrease coincided with the power cut, then one or more electronic devices in your house are generating RFI. 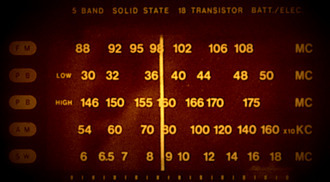 RFI often sounds like static–very loud static–and is often so wide in bandwidth that it can cover several megahertz. RFI can overwhelm your portable radio and basically “deafen” it to anything but the loudest stations that break through the elevated noise floor. Good luck tracking it down! Chasing RFI can be complex. Check out this list of RFI resources on the ARRL website for methods and ideas to cope with RFI. If you live in a condo, high-rise, or high-density neighborhood, my first suggestion may be of little use to you. 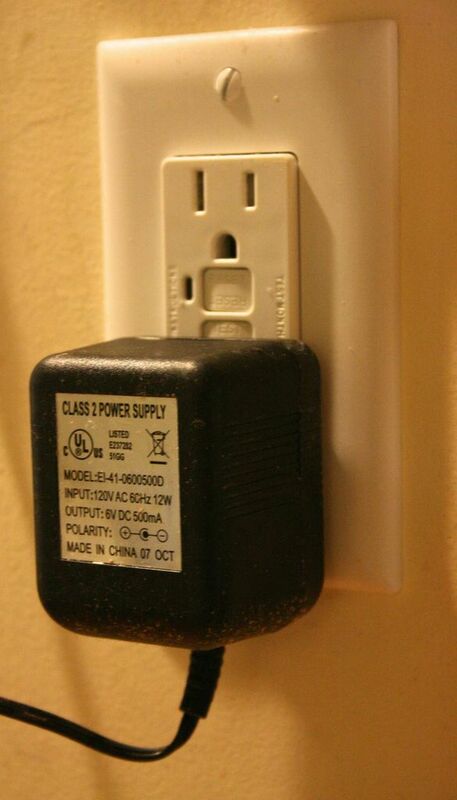 In this case, your neighbor(s) may be causing RFI; turning off your own power may have little to no effect. Fortunately, there’s an easy–albeit modestly inconvenient–way to deal with neighborhood RFI. Leave the neighborhood! No, not permanently; just for a fun afternoon outing (with radio, of course). If you live in a city, grab your radio, and head for a park or other area with wide open space and no buildings. 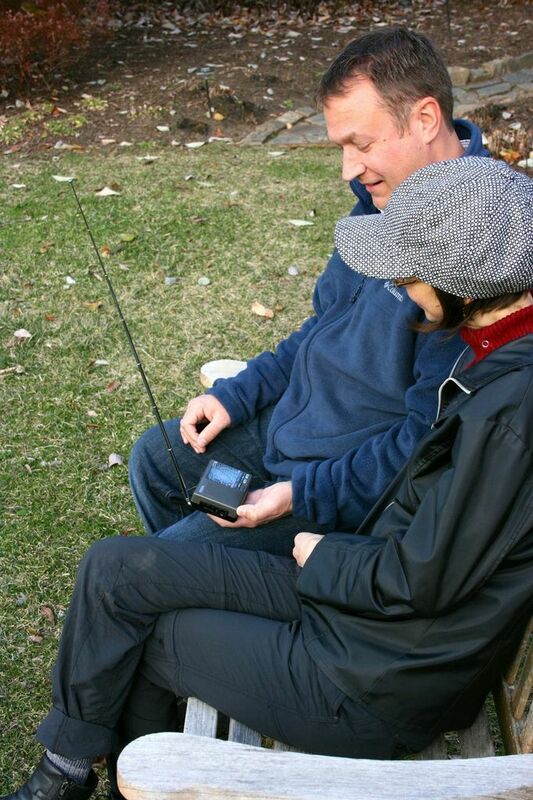 Listeners who live in urban areas frequently enjoy radio listening via headphones on a park bench; some even have a favorite bench for their fair-weather pastime. The benefits in this case are two-fold: firstly, you’re removing yourself from the vicinity of RFI, but secondly–and the icing on the cake–is that you’re taking your radio, and its antenna, outside. Antennas always function better outside. Walls and even windows attenuate HF signals. Plus, outdoor settings nearly always equal fun. Want some inspiration? Check out how this SWL plays radio in central London. By the way, if you have no local parks to which you can escape, consider taking your radio in the car and driving to a national park. Better yet, combine camping and SWLing. I like to do this, although I don’t have an RFI problem where I currently live. Most shortwave portables radios on the market today have a telescopic whip antenna that will suffice for casual listening. But often you can increase the antenna gain by simply adding more length in the form of a simple thin wire. Keep in mind that many radios actually ship with a clip-on antenna wire. Check your original box and make sure you haven’t overlooked it, as it’s fairly easy to do. If you didn’t receive a factory-supplied clip-on antenna, no worries! They’re a breeze to make and quite cheap: indeed, if you have a junk box of electronics parts like so many hobbyists I know, you may already have what you need. Simply obtain a 20 foot length of jacketed (insulated) wire–gauge is not important, just something thin enough that you can easily roll up to transport. Next, strip ¼ inch of insulation off the end of the wire. Solder and/or crimp an alligator clip to the end of the wire, making sure you have a solid, stable connection. 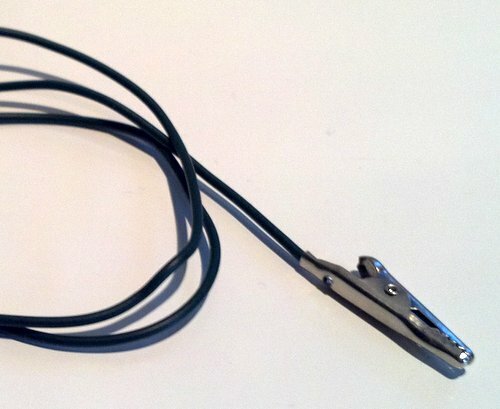 Now, stretch out this wire and attach it to your antenna. You will most likely find that this improves antenna gain. The effectiveness of the wire varies with the receiver. When I’ve made clip antennas in the past, I’ve simply made them longer than I thought I might need, then later cut it off at the optimum length based upon signal strength. If you live in an RFI-heavy environment, adding a wire antenna at home may only increase your noise level (after all, it will make the radio better at “hearing” the noise). Some receivers are susceptible to overloading and electrostatic discharge (the Tecsun PL-600, Grundig G5 and G3 come to mind). To be on the safe side, do not attach any wire to your portable that is in excess of twenty feet in length. Twenty feet should be more than sufficient length to increase antenna gain without any negative repercussions. Not all rechargeable batteries are created equally. Lean toward name brand, higher quality cells. 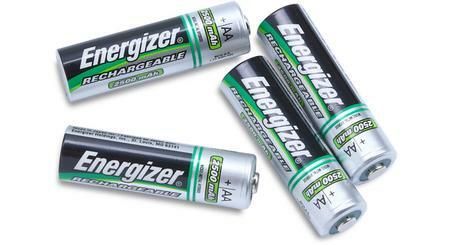 Dollar store batteries lack longevity. This is one suggestion that may require a modest investment, but will pay off in more ways than one. I honestly can’t think of the last time that I listened to a portable radio while it was plugged into mains/grid power via an AC adapter. Since at least 2007, I have been powering my portables exclusively with good-quality rechargeable batteries. Why rechargeables–? First and foremost, with rare exception, shortwave radio manufactures give little thought to the AC adapters they include with a portable shortwave radio; they’re simply an accessory that is expected, so they deliver. Indeed, the AC adapter that came with my Tecsun PL-880 (Tecsun’s latest flagship portable) came with an AC adaptor that does a great job charging the internal batteries, but injects copious amounts of RFI in the process. Running the radio off of batteries solves the problem instantly. Many radio manufacturers now include rechargeable batteries with the purchase of a radio. Some of these batteries are AA cells, others are slim packs resembling cell phone batteries. Consider purchasing an extra battery if you’re worried yours might die away while you’re listening to your favorite program; a quick switch, and you scarcely miss a beat. If your portable comes with rechargeable batteries, most likely the radio even has a built-in charge control circuit. I should add that I’m a fan of the traditional AA battery, even though they’re bigger than other battery types. After all, they’re nearly always accessible. If a radio takes AA batteries, I never use the radio’s built-in recharger, instead I prefer a MAHA brand battery charger, as they condition and give a longer life to the rechargeable cells. Sure, buying rechargeable batteries and, potentially, a good battery charger require an initial outlay of money, but the rewards are a quieter receiver and a more earth-friendly approach than heavy-duty or alkaline batteries can deliver. Sony MDREX10LP in-ear headphones are inexpensive and effective. Why headphones? Ask any serious DXers (amateur radio or SWL) and they’ll tell you headphones are an indispensable tool. While armchair listening is great with your radio’s built-in speaker, headphones give you better sound isolation, and your radio’s audio is equally balanced. Digging a weak station out of the ether is easier with headphones. Almost every portable you buy today will come with a complimentary set of earphones. Quality varies amongst these, but in my experience, the headphones included tend to be of the lowest quality; for shortwave listening, these may suffice. Though AM and shortwave radio is not considered a “high-fidelity” medium, thus not requiring a wide frequency response, I still prefer listening with quality earphones/headphones. As long as your headphones have a decent frequency response–I usually aim for 8 – 22,000 Hz–you’ll be pleased. And do make sure your headphones or earphones are comfortable to wear for extended periods of time. Yamaha CM500’s are a worthwhile investment if you’re an amateur radio operator. 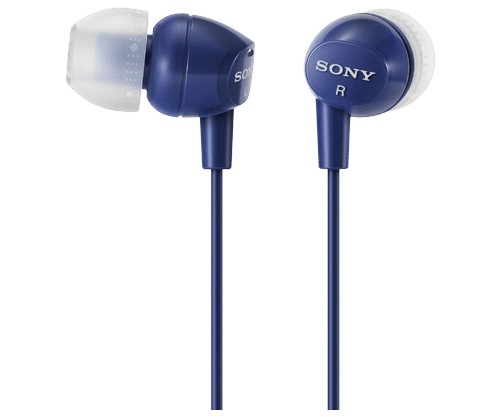 One of my favorite pair of in-ear earphones for SWLing are the popular Sony MDREX10LP series. They’re comfortable, responsive, isolate noise, and are available from a number of retailers for about $10 USD per pair. For over-ear headphones, I like the Panasonic RP-HTF600. They’re large, comfortable, and deliver amazing fidelity for about $30 USD. 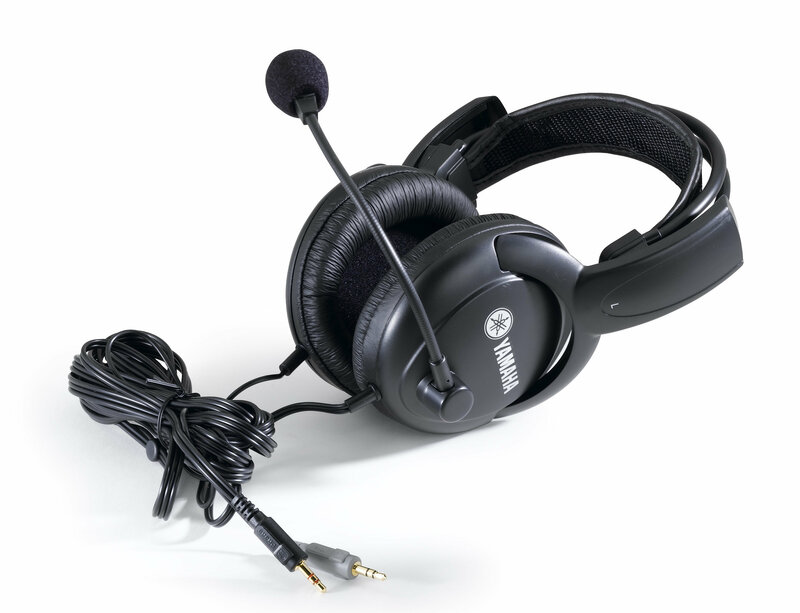 If you also happen to be an amateur radio operator, the Yamaha CM500 headphones have a built-in boom mic that works amazingly well. At $50 USD, they are a steal. When I received mine, I opened the package, plugged the headphone and mic jacks into my Elecraft KX3, and I was on the air with them in seconds. “Exalted Carrier Reception” (ECR) a.k.a. Exalted Carrier Single-Sideband (ECSS) is just a fancy way of saying that an AM broadcast carrier is tuned in while in single-sideband mode. This is most useful when you’re trying to listen to weak broadcasters. This (ECR) is, in a sense, the frugal listener’s version of synchronous detection. Why does it work? As my knowledgeable ham buddy Mike (K8RAT) explains: ”You’re removing any selective fading problems by filtering away one of the sidebands, and injecting a carrier of steady amplitude which eliminates the ‘tearing’ heard when a broadcast carrier is varying in amplitude.” Got that? Even if you don’t understand it exactly, here’s how to use ECR: Simply find a strong AM station on your radio. Next, turn on the BFO or SSB mode on your radio. As you adjust the tuning knob, you’ll hear an audible whine, the pitch of which will change with every increment of tuning. “Zero-beating” the carrier follows next–this is simply tuning in the signal until that whine is gone, and the AM station can be heard as clearly as if the radio were in AM mode. The fidelity of ECR/ECSS is typically not as good as AM–mainly because SSB filters are usually narrower than AM filters–but it does lower the noise floor, increase the stability of the received signal, and make this signal “pop out” a bit more. It’s amazing how much background noise ECR removes. If you’re lucky enough to have a tabletop radio, chances are it has an SSB mode (although there are some very rare exceptions). Less than a third of portables on the market, however, have SSB. Here is a list of the most popular portables with SSB that are, or have recently been, in production. If you live in an area with frustrating RFI, but want to listen to the shortwave bands from home, try an online web-based receiver. Sure, it’s not quite like tuning a radio at your fingertips, but it’s the next best thing, and also a handy tool for checking propagation or verifying your own signal (if you’re an amateur radio operator). Global Tuners which has a number of remotely-controlled radio receivers all over the world. You must register before you can participate, but registration is free. Global Tuners even has a free Android app that permits remote receiver control via your smart phone or tablet. The University of Twente Wide-band WebSDR is an amazing resource. Not only can you control this receiver, but so, too, can a few dozen other web guests––all at the same time! I’ve used U Twente’s receiver on a number of occasions to listen to European pirates. Cost? Again, it’s free. My final bit of “free” advice sounds a little philosophical, but rest assured, it isn’t. I’ve always likened radio listening to another of my interests, astronomy–an entirely different hobby that, unless you’re a radio astronomer, relies on an entirely different sense. Why the comparison? I’ve known some talented astronomers that, with just a basic pair of binoculars, can see much more in the night sky than I ever could. Are their eyes better than mine? Not necessarily. Their eyes are just experienced in the field of stargazing; they know what to look for, and most importantly, what to appreciate. Their brains decipher the images of bright or faint stars, subtle variations in color or shape, and focus on what they consider important. In short, this is not an ability you can pick up overnight; it takes patience, experience–and true passion. Radio listening is, in that sense, much the same. Though I’m by no means a good example, I do wish I could go back to the days of my youth with the ability to listen that I have developed over the decades. There must have been so many jewels of stations hidden in the ether that I completely skipped over…My ability to, for example, pick out the ID of a faint station, to tune accurately and quickly, and to cope with adjacent noise, have all been honed since then, a result of time spent just listening. The same goes for SWLing. I have spent enough time listening to shortwave and weak DX that I can now pull conversations out of the noise that my (non-radio) friends can barely detect. I’m convinced this is healthy exercise for the old grey matter. Indeed, I’ve heard and can certainly appreciate the results of his remarkable “laser-like” listening ability; check out Shortwaveology.net for your own experience of David’s talented ears. You’ll be glad you did. No doubt you enjoy listening already; my contention is that it has more benefits for your brain than Sudoku puzzles, and iis even more fun. Plus, did I mention that it’s free? You don’t need to pay a subscription to listen to the radio. There’s no real trick to this: it just takes time…interest…and a pair of ears. This entry was posted in Articles, How To, News, Radios, Shortwave Radio, Tutorials and tagged Antennas, Earphones, ECR, ECSS, Exalted Carrier Reception, Exalted Carrier Single Sideband, Frugal Shortwave, Global Tuners, How to Check for RFI, How to eliminate RFI, Inexpensive Shortwave, Listening Tips, N3CZ, Portable Shortwave, Portable Shortwave Antennas, Radio Frequency Interference, Rechargeable Batteries, Remote Receivers, RFI, Shortwave Earphones, Shortwave Headphones, shortwave listening, Shortwave Listening Tips, Shortwave Outdoors, Shortwave Portables, Shortwave Radio, Shortwave Radio Tips, Shortwave Wire Antenna, University Twente, Vlado, Wall Warts, Web Receivers, Wire Antenna on May 3, 2014 by Thomas.